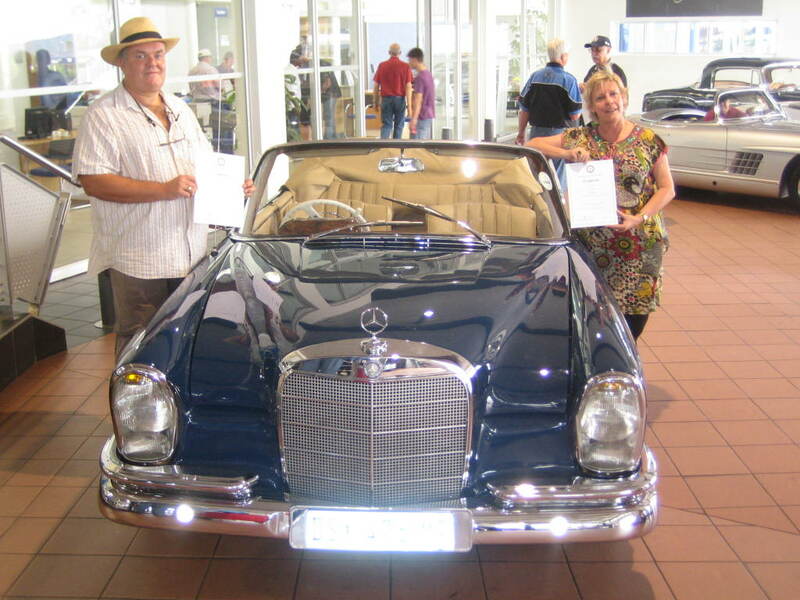 We won 1st prize Prix D’etat in the 2010 annual Mercedes Concours in Menlyn, Pretoria, with our new 1963 220 SEB Cabriolet. New … 1963 … sounds a bit Irish but ’tis correct and we waited four years for her to be built. 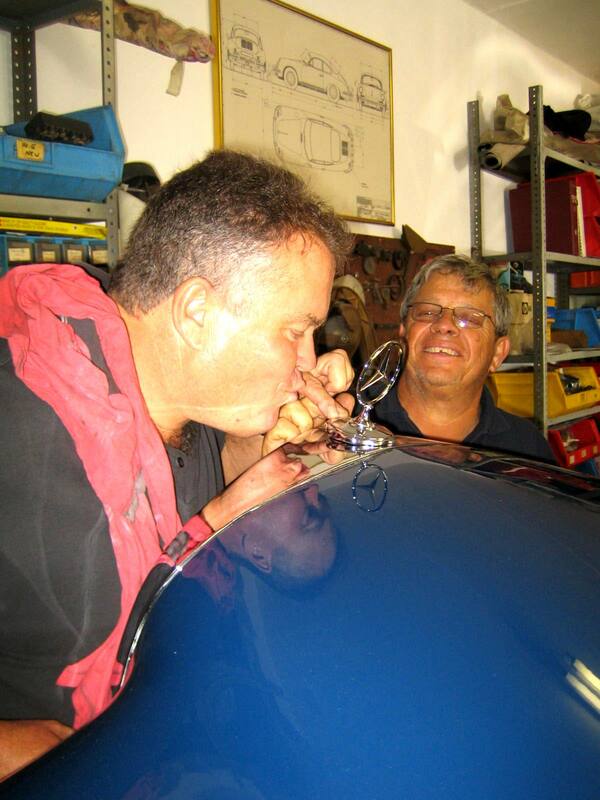 PJ, my partner is a true disciple of the silver star – of the Mercedes Benz variety and it goes way back. 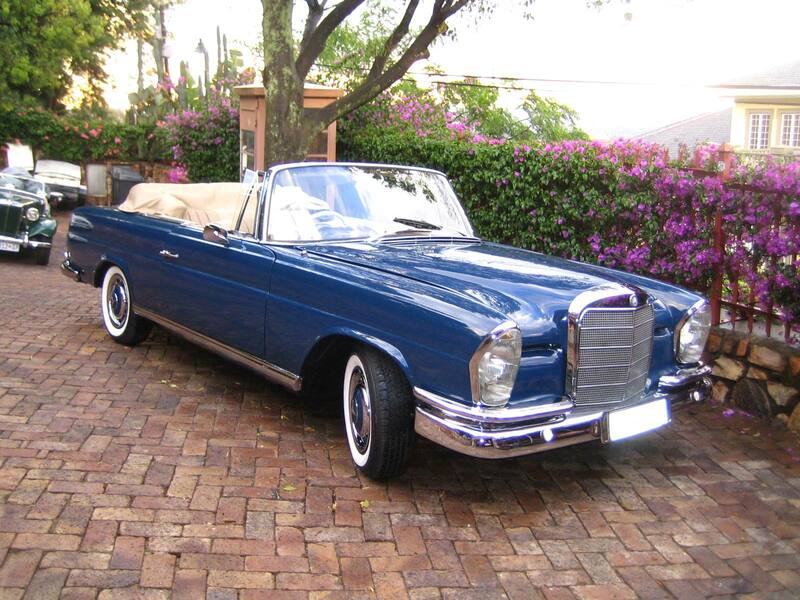 This particular story dates back to the 1970’s when PJ attended a car auction in Harare with his Dad and saw a similar cabriolet sold. Very disappointed that his Dad was not the highest bidder when the hammer went down, and even worse still, the car was whipped away by men from far away Johannesburg. He felt very let down and has carried the damage with him all these years – until now! Well done on the 1st prize, Janina is a beauty and I demand a ride in her sometime, tell PJ! Done! You have to chose the restaurant – what about Portuguese in the deep South … give’s us more time to ‘enjoy the ride’! What a beauty you guys! You too could come for a ride if you were’nt so scarce! She is fabulous. Looking forward to her first visit to Dullies. Porcinis just starting to appear – just a few!! Particularly stunning ride for royalty, Darling, but in dry weather of course!